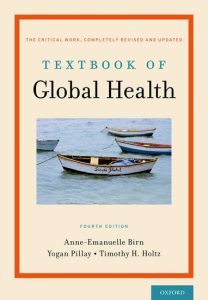 This book provides a forward-looking, highly exhaustive, up-to-date and balanced analysis over the unsolved issues and gaps still impairing the equitable access to global health on a world scale. The fourteen chapters (674 pages) are like-minded and uniformly structured as regards introductory key questions that provide a basis for reflection, and closing learning points that summarize key take-home messages. Each chapter includes tables, boxes and figures serving as instrumental tools to enhance clarity while adding building block information for the sake of readers – be they students, stakeholders, politicians or advocates. ‘Example’ paragraphs and case studies all over the text appropriately focus on the critical points at stake and the root realities to deal with. 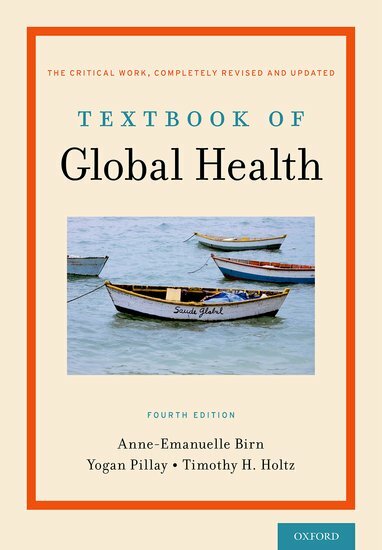 The first section of the textbook (chapters 1-7) provides the basic tools for understanding global health. The next section (chapters 8-12) analyzes global health and its ongoing challenges from a set of key lenses – the priority areas and building blocks for understanding and improving global health efforts. The final section (chapters 13 and 14) turns to the making of healthy policies across the world – and the roles and responsibilities of those working in the field locally, internationally and transnationally. So compounded, the book dates back to the historical origins and allows the readers to understand (while offering itself robust explanation of) the reasons underlying a host of conflicting issues most accounting for the current health inequities on a world scale. In a nutshell, the authors maintain that the rampant neoliberal globalization underpinning unfettered trade liberalization (meaning collusion between national-transnational corporations and their political counterparts) is directly responsible for the social inequities and health worsening worldwide. The book makes it clear that the root causes of health inequities are to be found in weaknesses in political domains at the national and supranational level. These include democratic deficit, weak accountability, institutional stickiness, missing institutions and restricted policy space for health. This context entails that unbiased solutions for global health only hinge on political will to improve equity, coherence, coordination, collaboration, transparency and accountability both at domestic and international level. In such connection, the book refers to the recently adopted 2030 UN Agenda for Sustainable Development consisting of 17 Sustainable Development Goals (SDGs) and 169 targets. In this scheme, the health goal ranks high as an overarching aim amidst the other 16 SDGs. It includes nine targets: three related to the Millennium Development Goals (MDGs), three to non-communicable diseases and injuries, and three cross-cutting or focusing on systems encompassing universal health coverage, universal access to sexual and reproductive health care services, and also to reduced hazards from air, water and soil pollution. Furthermore, the health goal strictly entwines with a number of the other 16 goals. As for this, the book highlights that health is a contributor to (and a beneficiary from) poverty reduction, hunger relief and improved nutrition, safer cities, lower inequality, sustainable consumption, affordable and clean energy, toxic chemicals management, clean water and sanitation, and to the efforts to combat climate change and safeguard aquatic and terrestrial ecosystems as well. Unfortunately, as the authors remark, the current governments’ directions and trade agreements, largely by the most affluent countries, run contrary to these principles while turning agendas into policies which protect monopolistic interests at the expense of equitable access to care and lifesaving treatments in the resource-limited settings. In this regard the book messages that, since the incentives of present patent system are driven by profits (where short-term maximization of returns to shareholders is prioritized), the lower-income countries lacking profitable markets are all the more discriminated. – The credit policies of International Monetary Fund, World Bank and European Commission still incur criticism of indirectly stifling public spending, including for health, in the borrowing countries. – Mushrooming TRIPS-plus measures still enforce intellectual property (IP) protection beyond what is required by the WTO TRIPS agreement. These measures encompass making it easier to patent new forms of old medicines that offer no added therapeutic benefit for patients (the so-called ‘ever-greening’); restricting ‘pre-grant opposition’, which allows a patent to be challenged before it is being granted; allowing customs officials to impound shipments of drugs on mere suspicion of IP infringement, including ‘in transit’ products that are legal in origin and destination countries; expanding data exclusivity beyond WTO’s request for data protection against unfair commercial use only; extending patent lengths beyond 20-year TRIPS requirements; and preventing drug regulatory authorities from approving new drugs if they might infringe existing patents. – Pharma companies and their allies still are lobbying governments to scupper any rules that would require them to disclose the real R&D costs and profits of their medicines and the rationale for charging what they do. As such, it is almost unpredictable whether laws enforcing transparency on costs would help curb extortionate drug prices in today’s world. – Neo-liberal policies still impair the capacity of resource-limited countries to feed themselves. Adding to investment reduction in food production and support for peasant and small farmers, state-managed food reserves have been dismantled as ‘too expensive’ and governments have failed to protect farmers and consumers against sudden price fluctuations, while being ‘forced’ to liberalize their agricultural markets through reducing import duties. – Land grabbing and evictions as part of neo-colonialism policies, including for biofuel agribusiness, are on the rise in Africa and elsewhere under national governments complacency and a widespread corruption. – Health threats from waste continue to thrive on socio-economic inequalities: while high-income countries produce mass consumption and rapid discarding of products (i.e. waste), poor countries incur the concentration and uncontrolled dumping of waste which enhances its dangers to health. Meaningfully, this transfer of waste from rich to poor unfolds when most affluent countries export part of their hazardous waste to Africa and Asia. – Meanwhile, governments, companies, and institutions at the international level are exceedingly behindhand with fossil fuel divestment in order to promote a healthy climate and a safe planet. The circumstances highlighted above let the authors state that the burden of consequences on health is borne everywhere by those excluded from power and decision-making, even as the more powerful enjoy greatest profits. In such context, the authors infer that local governments around the world should tackle neoliberal globalization in an efficient manner to ensure that citizens enjoy equal health benefits on an equitable basis, while advancing public health over political and commercial interests. This looks even more stringent in today’s arena where a WHO strapped for public financing sees its role thwarted by a number of international bodies and private donors resulting in overlapping/duplication of initiatives and undue pressure towards earmarked programs. Overall, the book calls for an array of inter-sectorial policies the governments should embrace to achieve equitable global health goals (including through a ‘degrowth’ approach and the safeguard of climate and food access), while ending the misalignment among the right to health, trade rules, and the patent system. Seeking synergies among global level institutions to address global health challenges, support stronger leadership by the WHO to improve global health, and enhance dialogue and joint action with key players in order to coordinate actions, advance in the achievement of commitments, and avoid overlapping and fragmentation. Ensuring that leading institutions and organizations enhance working with health ministries to strengthen national systems, invest in infrastructures, improve transparency and accountability, and boost needs-driven rather than market-driven rules. Pushing for a coordinated response to fight corruption, while refraining from being caught with corporate holdings in a circle of mutually reinforcing political and commercial interests over public health concerns. Rejecting pressures towards adopting heightened IP rights while banning TRIPS-plus clauses and ISDS provisions. Pushing for open knowledge and new approaches to pharmaceutical innovation that do not rely on the patent system and de-link the costs of R&D from the end price of medicines. Pushing for full-exemption of out-of-pocket expenses for the poor; poor-friendly pathways towards universal health coverage; heavy taxation on tobacco and other harmful substances; and reduction or elimination of agricultural export subsidies and energy subsidies on air-polluting fuels. Reversing ‘brain drain’, health worker shortage by promoting strategies to retain expert faculty staff. Anne-Emanuelle Birn is Professor of Critical Development Studies (UTSC) and Social and Behavioural Health Sciences (Dalla Lana School of Public Health) at the University of Toronto, where she served as Canada Research Chair in International Health from 2003 to 2013. She is widely published in North America, Latin America, Europe, and Africa; her books include: Marriage of Convenience: Rockefeller International Health and Revolutionary Mexico (2006); and Comrades in Health: US Health Internationalists, Abroad and at Home (2013). 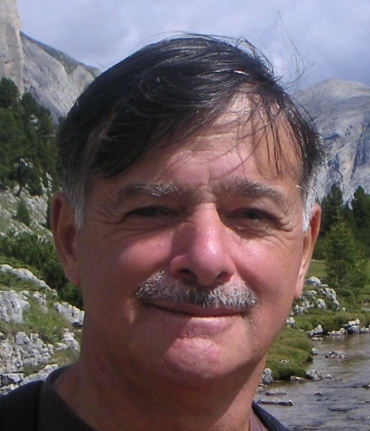 Professor Birn’s honors include Fulbright and Rotary fellowships, election to the Delta Omega Public Health Honor Society, and numerous endowed lectureships across the Americas and Asia. In 2014 she was recognized among the top 100 Women Leaders in Global Health. Yogan Pillay is Deputy Director General for HIV, Tuberculosis, and Maternal, Newborn, and Child Health Programmes in the National Department of Health, South Africa. He has 20 years’ experience in the planning and implementation of health system reforms and has published widely on the topics of HIV, tuberculosis, and health systems. Timothy H. Holtz is an Adjunct Associate Professor of Global Health at the Rollins School of Public Health at Emory University. His field experience has focused on infectious disease epidemiology and disease control, and he has worked with the U.S. Centers for Disease Control and Prevention and as a consultant to the World Health Organization. From 2002-2010 Dr. Holtz worked in southern Africa, Eastern Europe, and South America on multidrug-resistant tuberculosis control and tuberculosis/HIV program capacity building. He is an internationally recognized expert on the emerging threat of anti-tuberculosis drug resistance and was part of the team of scientists that discovered extensively drug-resistant tuberculosis (XDR TB). He has also directed an HIV prevention clinical trial research program in Thailand, and an HIV and TB technical assistance program in India. He is a founding member of Doctors for Global Health, a health and social justice nongovernmental organization with projects in the U.S., Latin America, and sub-Saharan Africa.